The MIUI 10 9.3.28 Global Beta update for Redmi Note 5 Pro users has been released. This update is based on Google’s latest operating system Android 9 Pie. Xiaomi has given this information through its official forum. In this latest update, users of Redmi Note 5 Pro will get features like bug fixes, passwords and pins, battery indicator in notification shade, and lock screen. However, the company has not given any official information for the roll out of its stable version. Xiaomi posted a link to MIUI 10 9.3.28 Global Beta Update on its official forum, writing that if you are a Redmi Note 5 Pro user, then your smartphone via Recovery ROM will be updated with this latest Global Beta. Users will be able to download this beta update in two ways. For this, the company has also given the step by step process. Additionally, users have said that before updating you should back up your data. Based on Android 9 Pie, this MIUI 10 9.3.28 global beta will also provide users with Android security patches of March. The error related to many types of passwords and PINs in this patch has been fixed. To download this global beta on your smartphone, you will have to download the Recovery ROM link in your smartphone. Through this article you will be able to easily install Android 9 Pie Update for Redmi Note 5 Pro. Step 1: Download MIUI 10 zip file and rename this zip file as “update.zip” like miui_HMNote5Global_9.3.28_e59b631ebf_9.0.zip. Step 4: Now your phone is going to Reboot in recovery mode and Rom flashing process start. Don’t interrupt this process, it might to take 4-6 minutes for your phone to first boot on MIUI 10.9.3.28 Rom. After install Android 9 Pie Update for Redmi Note 5 Pro, you can root your phone because root allows you to use a maximum of your phone without any restrictions. After root you will install custom apps, Rom and custom setting in your phone. But first read Root Advantage and Disadvantage by this article. 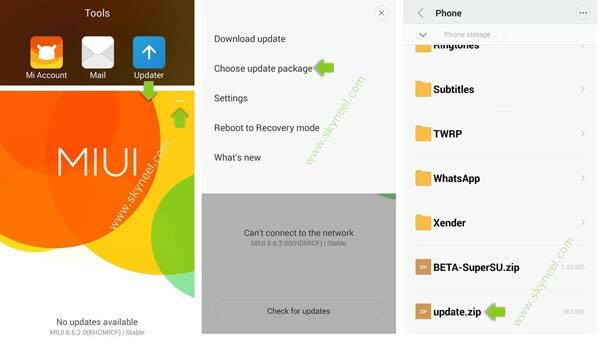 I hope you like this Android 9 Pie Update for Redmi Note 5 Pro installation guide from which you will be able to easily install new update Xiaomi Redmi Note 5 Pro MIUI 10.9.3.28. Global stable Rom without any extra efforts. If feel any problem in this guide then please use comment box. Thanks to all.